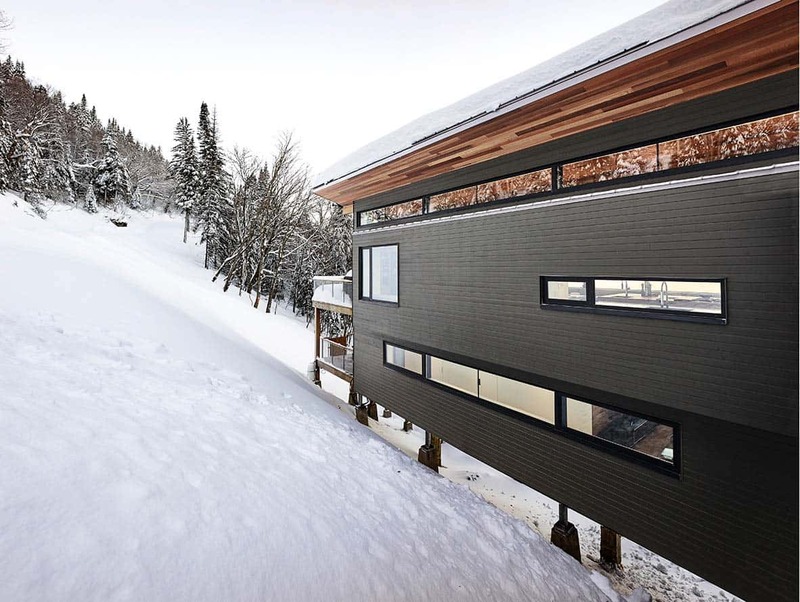 This modern ski chalet was designed as a weekend retreat for a family with children by architectural studio Robitaille Curtis, located on a steep slope in Quebec, Canada. The property is nestled on what was originally a ski hill, Mont-Jasper, located near the charming village of Saint-Donat. 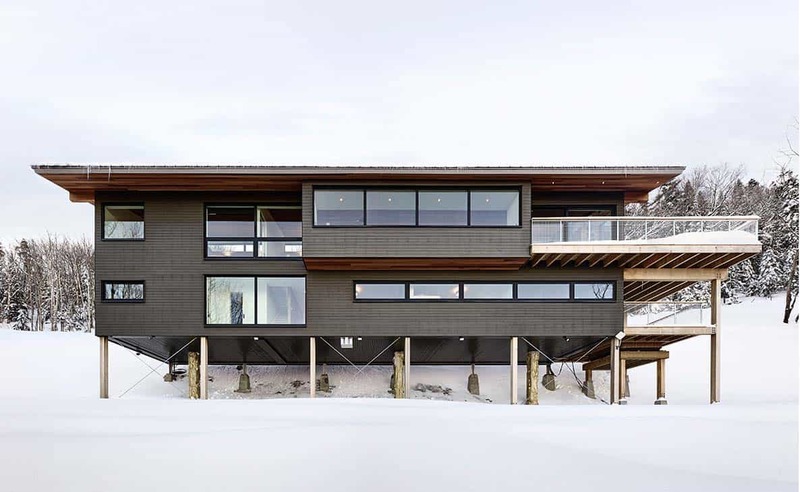 This spectacular home is set amongst some of the highest residential structures at an elevation of 2,435 feet above sea level, in the Laurentians and Lanaudière regions. 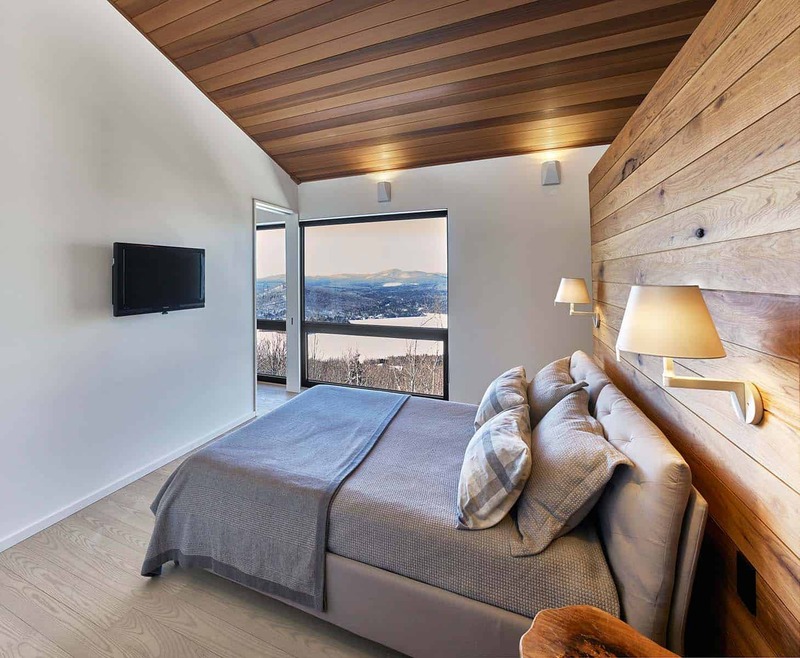 The chalet is surrounded by a thick forest of maple, birch, spruce, and beech trees, showcasing panoramic views over the magnificent Lac Archambault. 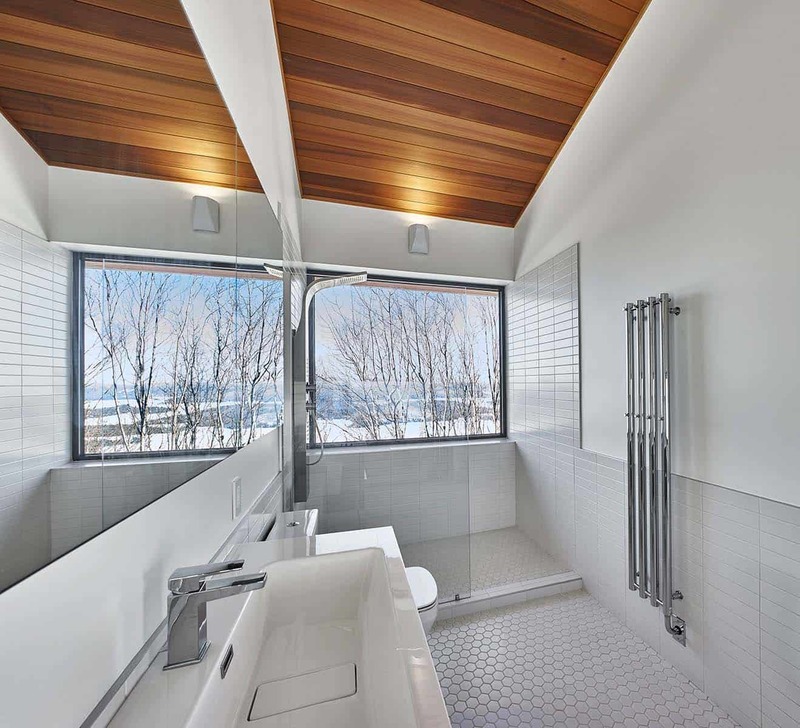 The residence was constructed on western red cedar pillars, where the snow and spring run-off can flow underneath. 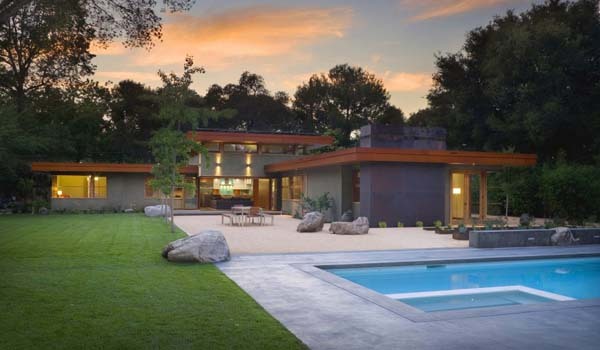 Due to this design feature, the home is accessed via an entrance bridge. The main level is open and spacious, taking on a loft-like aesthetic. 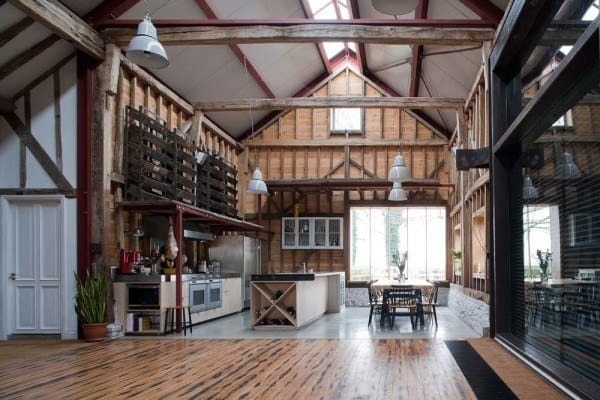 An open plan living, kitchen and dining area provides the perfect space for entertaining. A 27-foot long bay window and window seat spans the length of the kitchen and dining areas, framing views of the home’s incredible surroundings. The window seat was designed with functionality in mind, offering concealed storage beneath the upholstered cushions. 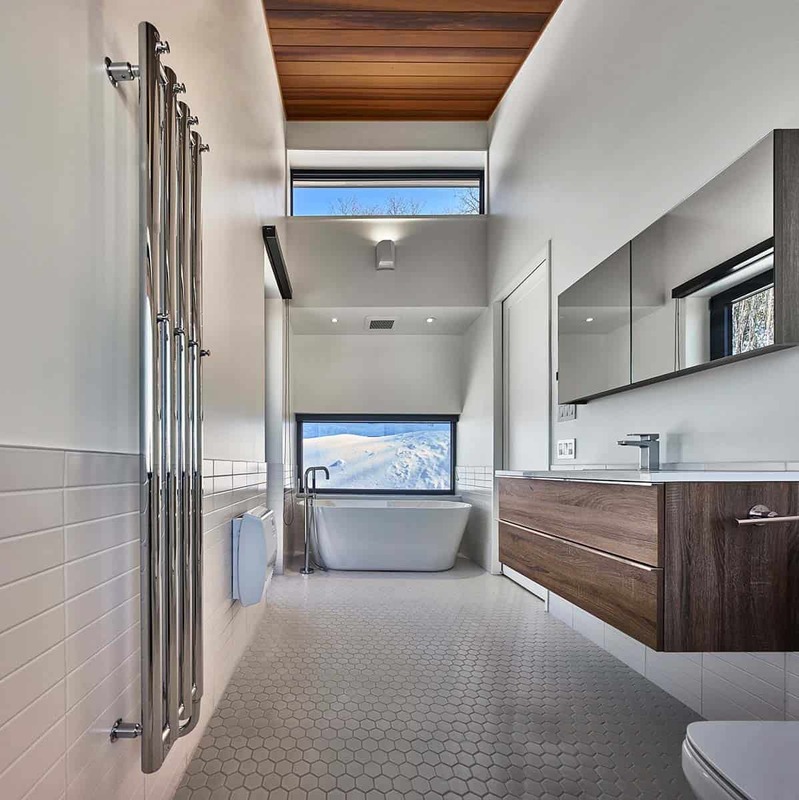 There is also a clerestory window that spans the length of the chalet, which illuminates the interiors with light while providing views of the mountains above. 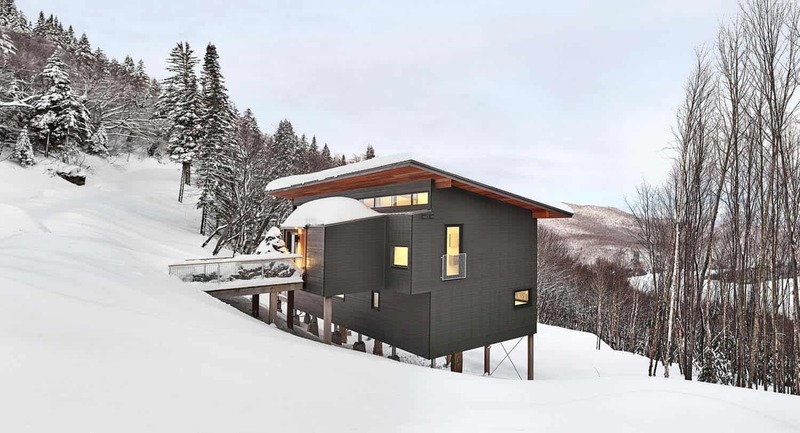 What We Love: This modern ski chalet offers a loft-style aesthetic, providing an intimate yet luxurious mountain refuge surrounded by snowy slopes. 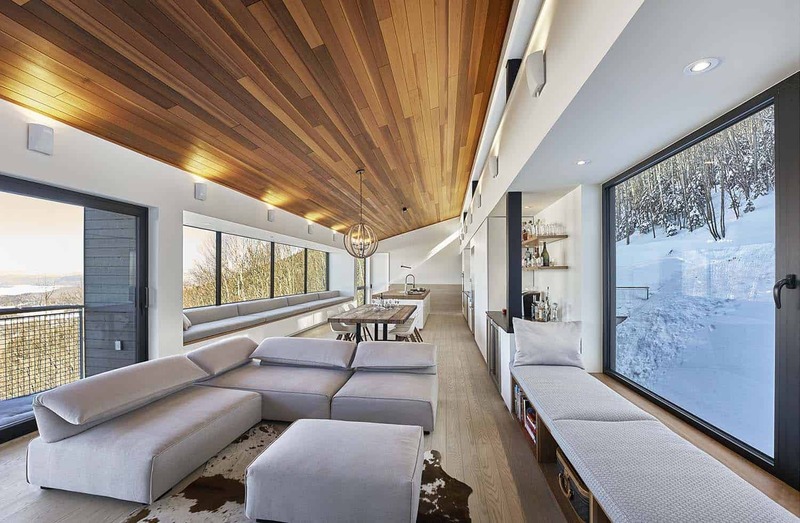 With integrated architecture and practical, warm and cozy interior design, this home was designed to be enjoyed by company. 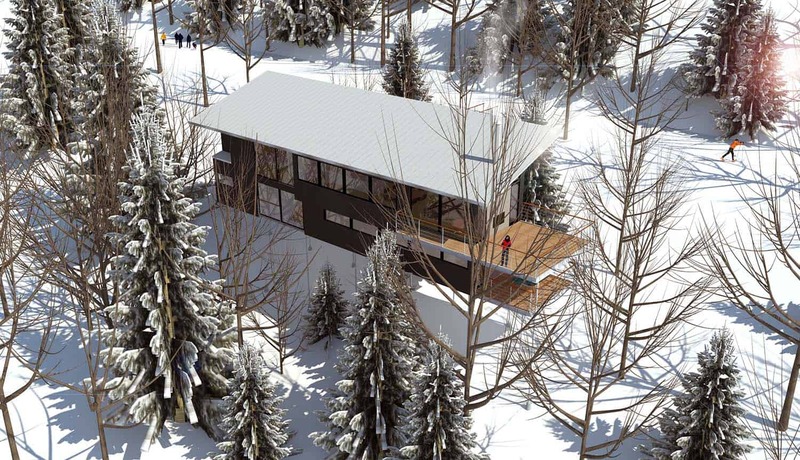 Readers, what do you think of this Canadian chalet, could you imagine spending your holidays here? Let us know why or why not in the comments below! 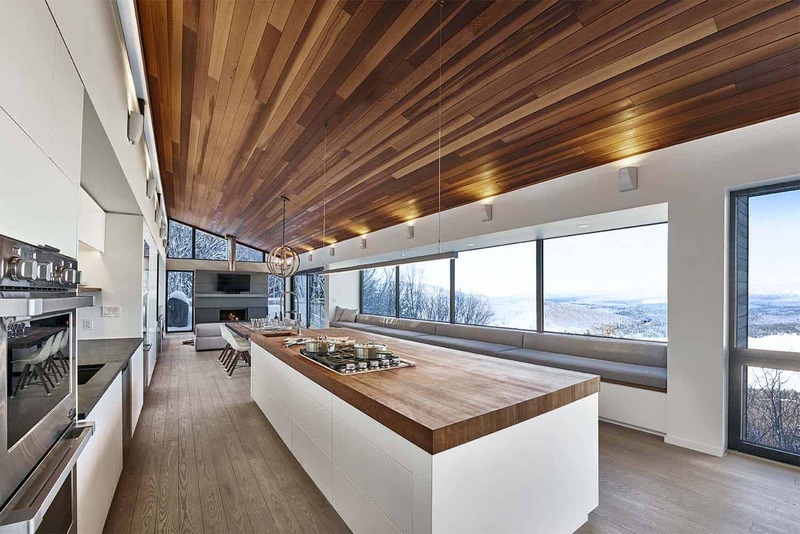 Above: In the kitchen, an expansive island features a gas cooktop and prep sink so that the host can enjoy the views while entertaining family and friends. The window seat provides an ideal place for family and friends to commune after a day of skiing. 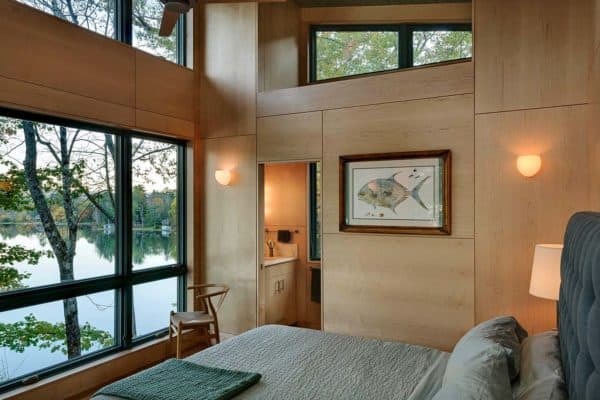 Above: In the living room, natural light pours in from windows on three sides. The fireplace anchors the space, while a smaller, more cozy window seat offers additional seating for guests. Adjacent to the living room is a wall of sliding glass doors, connecting the space to an outdoor entertaining deck with a fireplace. 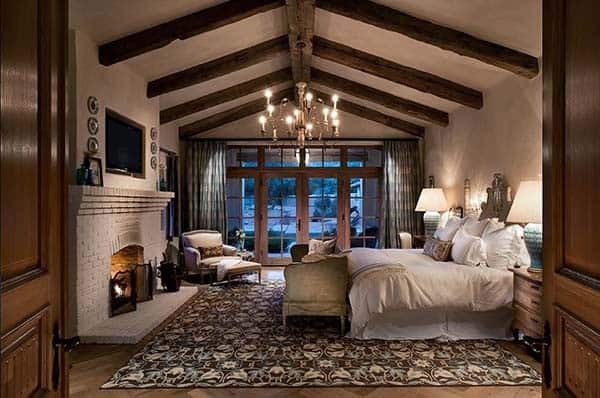 Above: On the opposing side of the main living area is the master bedroom suite. 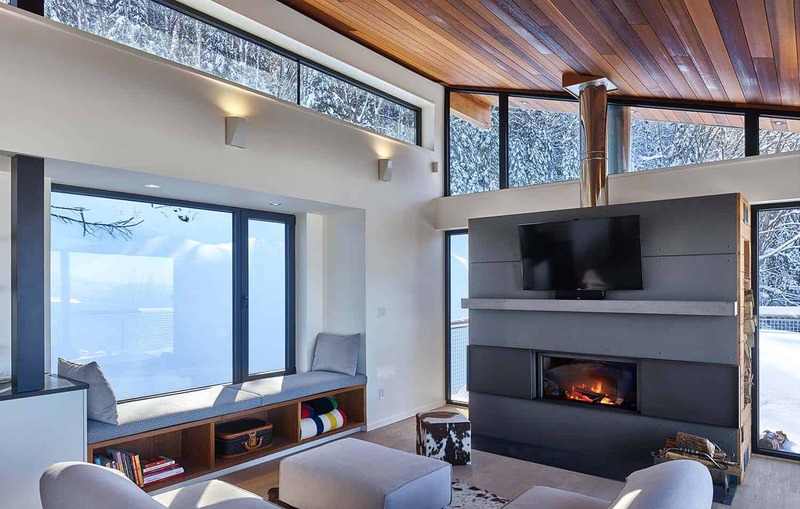 Both spaces feature large windows to help maintain the chalet’s visual connection with the outdoors. Above: On the lower level you will find the children’s bedrooms, a guest bedroom, playroom and steam room. Adjacent to the steam room is a lower deck with a spa. 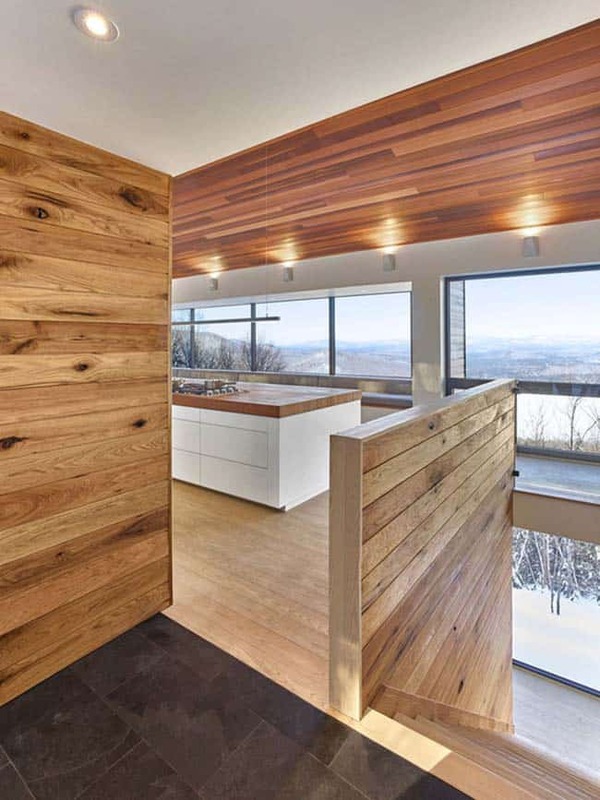 All of these spaces enjoy the incredible views of the forested landscape. 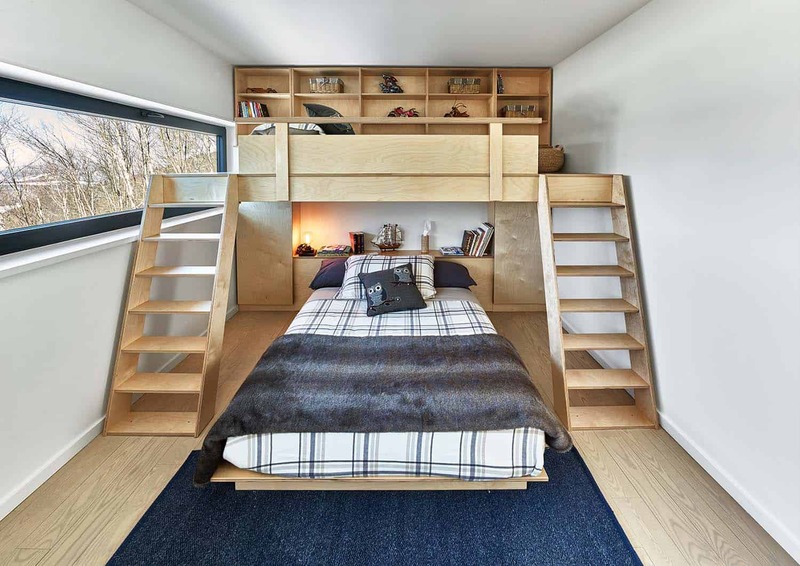 The image above showcases one of the children’s bedrooms with a custom designed bunk bed. 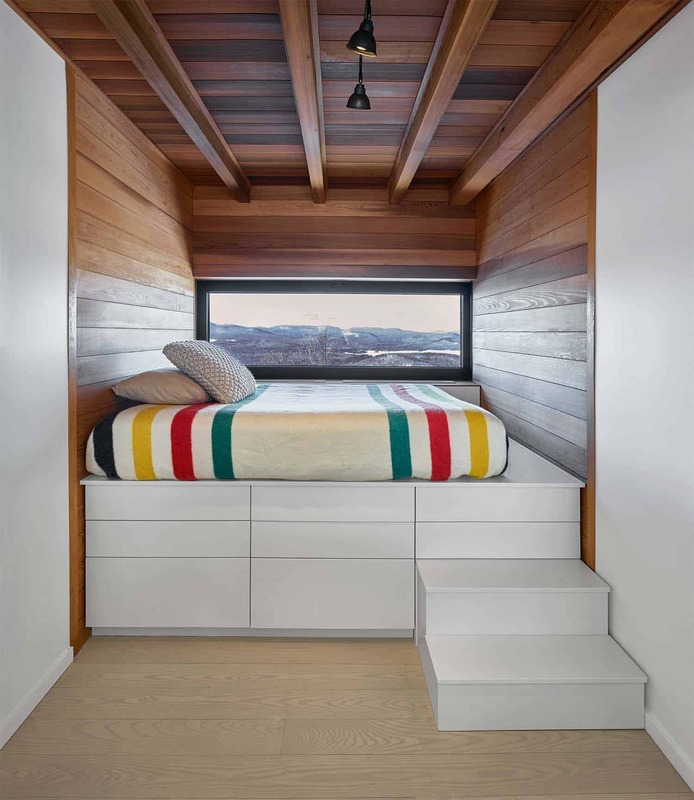 Above: A second children’s bedroom offers a cozy built-in bed raised up high with drawers set below. The bed is set flush against a full width window. Above: The exterior facade is clad with a darkly stained, white cedar siding. 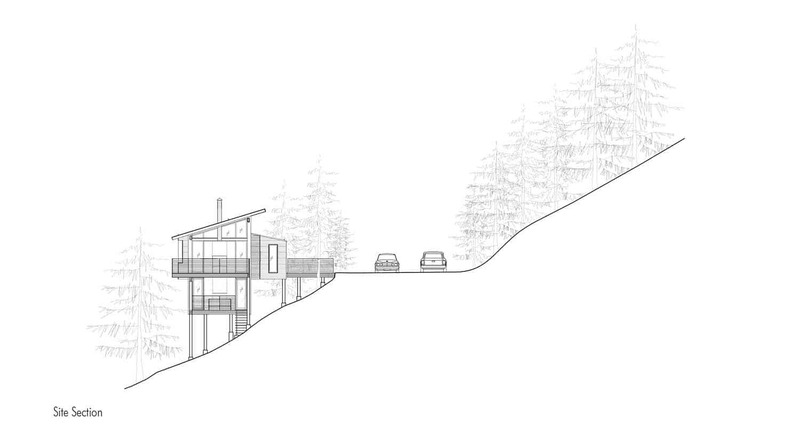 The architects designed the angle of the metal roof to mimic the slope of the mountain. 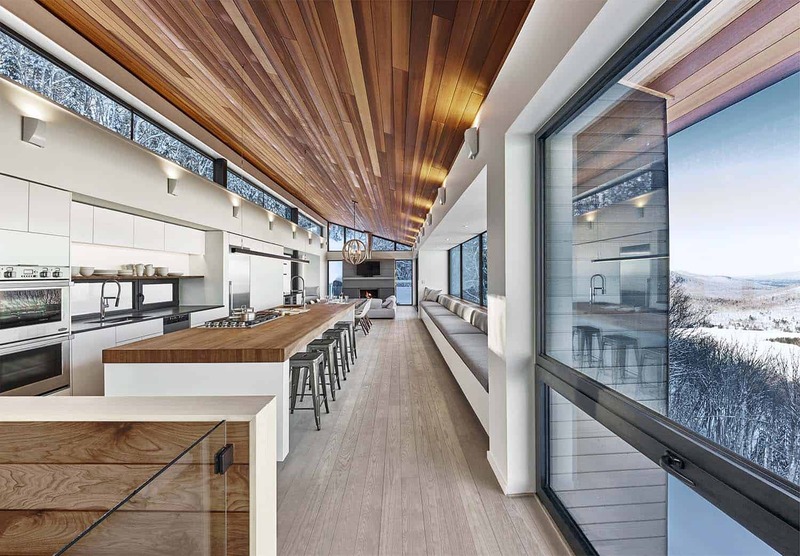 The exposed deep eaves of the roof, along with the interior ceilings of the main living level are clad with square-grooved clear western red cedar.